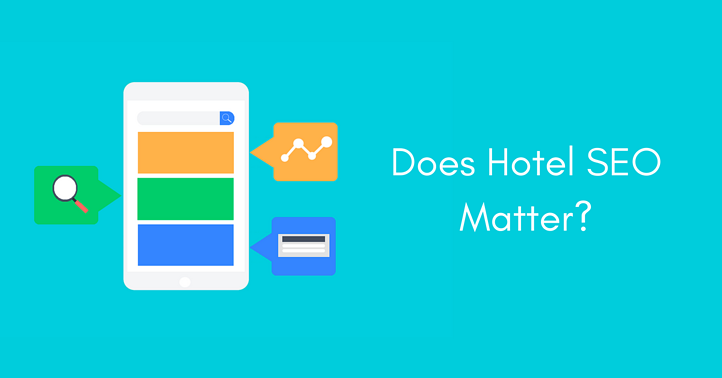 Does SEO matter for Hotels? Do search engine optimization efforts still matter in this age of the savvy consumer? Should hoteliers focus time, energy, and resources on these strategies? The short answer: YES. Here’s a slightly longer answer that will explain the whys and hows of hotel SEO. SEO is the process of increasing traffic from organic (i.e. natural or free) search results on search engines. When done effectively, SEO drives traffic to your website -- and, ultimately, to your hotel. Search engine optimization plays more of a role now than ever. The travel and hospitality industry is undergoing tremendous disruption: the growing economy, consumers’ preference to spend on experiences rather than “things,” increased business travel, enabling technology, and other factors combine to create a robust market. This is where SEO comes in. With a strategy that is both responsive and proactive, you can capture the enormous opportunity that this market holds. As mentioned, the goal of SEO is to drive traffic to your website. A top rank in the search engine results pages is integral to this goal. Sites that land on the first page of Google’s SERPs attract 92% of all traffic for a given search. If your site is bumped to the second page, that plummets to just 4.8%, and the third page receives just 1.1% traffic. There’s an old SEO joke that underscores the importance of ranking as close to the top as you can: Where’s the best place to hide a dead body? On page 3 of the Google results pages. Furthermore, the site that achieves a #1 ranking on the first page receives 33% of all traffic. The bottom line: if you are “buried” under a dozen or more competitors, there is very little chance that your target customers will bother to dig for you. Optimizing your website and getting ahead in the search game does more than increase traffic. It can also help you gain an edge over the competition, improve brand awareness, increase your credibility and customer trust levels, and -- least but not least -- enhance profitability. That’s the why. Now, let’s take a look at the how. Pay attention to your keywords. Of the 3.5 billion searches conducted each day on Google, an astonishing 15% were queries that the search giant had never seen before. This indicates that searchers are using increasingly long and complex keyword phrases to get the most relevant results. To land at the top of those results, you need to use long tail keywords. “Hotel” or “Hotel in City X” just won’t cut it. What will? Try something like “pet-friendly hotels in South Beach, Miami” or “hotel deals North Beach, Miami.” Keywords can relate to location, amenities, attractions, and other items for which travelers are likely to search. You can find keywords with help from related search queries from Google, analytics tools, and with guidance from an experienced hotel marketing agency. Mark it up. Schema.org is a collaborative “language,” supported by the major search engines. The goal is to help websites tell search engines more about them, so the engines can deliver better results for their users. You add this code -- or rich snippets -- to your HTML to help Google, Bing, and Yahoo better understand your content. There are several categories, or schemas, such as product, video, location, authorship, events, breadcrumbs, star reviews/ratings, person, and more. When you mark up your text, you make it easier for search engines to understand your content, and thus, deliver it to prospective guests. It can make your website appear more attractive in results and boost your click-through-rate (CTR). At the same time, few websites bother to use this language. Taking advantage puts you ahead of the competition. Develop great content. If you’re so sick of hearing “content is king” that you’re ready to run off to a tropical island with no wifi, well… book your accommodations with a hotel that has a great website full of relevant content about attractions -- and great wifi-free activities. There is a reason why content is king; today’s consumers want information. Rather than a hard sell bashing them over the head with how great your hotel is, they want the why. What do you have to offer? What differentiates you? What value can you offer them before they ever set foot in your establishment? 70% of people would rather learn about a brand through articles instead of ads. 68% of people are prompted to book accommodations after they see a video featuring a hotel’s amenities. Content marketing costs 62% less than traditional forms of advertising (e.g. TV, print ads) -- and it generates 3 times as many leads. Your hotel digital marketing agency can help you develop and implement an effective hotel content marketing strategy. Incorporate organic and paid search methods. Pay-per-click (PPC) ads are a virtual must for hotels. This service puts your ad in front of people who are searching for businesses like yours. More than half of travelers depend on the internet to make reservations for accommodations (and related areas, such as tours, activities, rental cars, etc.). Optimized PPC ads can point them your way with messaging about your rates, amenities, services, vacancies, and deals. This can help you gain status in the SERPs, and you have your organic results to bolster your visibility further. Further, PPC is highly targeted, so you can reach audiences based on location, demographics, parental/familial/marital status, time of day, budget, device, and more; you can also retarget visitors who have expressed interest in your hotel. Google Hotel Ads are another great option to explore. 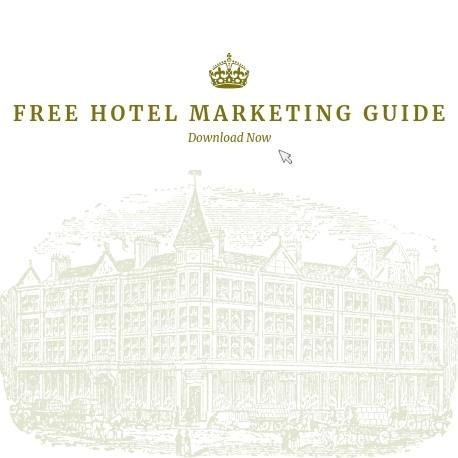 Similar to PPC, you only pay for Hotel Ads when someone clicks on them or books through them. Google will display the ads across its site, Maps, and all devices. It provides searchers with quality information and the ability to book right away. With Hotel Ads, you’re in control every step of the way: you can increase bookings and your bottom line. List your hotel. Everywhere! Make sure you’re listed on Google+, Google My Business, Google Places, Yelp, TripAdvisor, and LonelyPlanet. But don’t stop there: use Facebook (2 billion people can’t be wrong, right? ), Google Reviews, Feefo, and Instagram to spread the word. Encourage guests to leave reviews and ratings; make it as easy as possible, and incent them if necessary (e.g. Leave a review and enjoy 10% off at our restaurant or a 15 minute head/shoulder massage at our spa, etc.). Consumers trust their peers much more than they trust you! Leverage this by posting user-generated content. Post their comments, and better yet, their pictures and videos featuring your hotel. Besides building your credibility (which is reason enough), this boosts your visibility and ranking in the SERPs. Google loves reviews and ratings as much as its users do. So, does hotel SEO matter? Yeah, it does. A lot. Talk to your hotel marketing partners and see if their seo services can ramp up your efforts, rankings, and your profits.